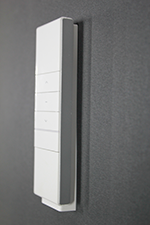 Motorised blinds add a level of ease and convenience with the touch of a single button. Your entire house can be synced to a single remote control to automatically open and close your interior blinds. There are other benefits that come with having automatic blinds beyond just the comfort. No more cables or strings that get tangled up! With just one click you can open or close your blind with perfect positioning and alignment. 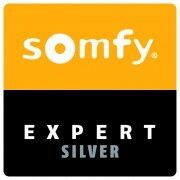 Somfy motors are also ideal for large windows, high-up or hard to reach blinds! When automated, you can forget about them! In summer you can program your blinds to come down at the hottest times of the day, or as soon as the temperature rises… Your home stays cool and it’s cheaper than air conditioning! You can also add sensors and timers so your products work for you even when you’re not at home. Loose cords and chains are a danger to young children. With Somfy automated blinds and curtains, the cords and chains are completely removed, providing peace of mind for you and a safer environment for your kids. Somfy’s world-leading motors are fully concealed inside the tube of the motorised blind. With the simple press of the remote control, you’ll enjoy the ambience and your guests will be impressed with the quiet sophistication of your automated system. “My” function – lets you program a preferred position of your blinds so that you can access that favourite position every time at a simple press of “my” button. Set it once and use it as much as you like! Open your blinds at the push of a button and discover a whole new world of convenience with, Motorlite – a cost-effective motorisation alternative that’s simply Plug and Play! With motorlite Wireless motor, you don’t need an electrician and pay for additional costs associated with hard wiring motors. More importantly, the internal Li-ion battery offers up to 600 blind open and closures on a full 6-hour charge. In other words,you can experience up to three months of ease and convenience before a charge is required. Powered by a 12 volt Li-ion rechargeable battery motor, Motorlite guarantees superior motorised blind performance. Now no more cords to pull or move to create the atmosphere you want. Motorised blinds are perfect for all areas of the home, including bedrooms, study, kitchen and or out-of-reach windows. For windows receiving some sunlight each day an optional solar panel can be Supplied. The solar panel can be glued directly onto the glass window, to automatically recharge the Li-Ion battery.With simple programming instructions included on the single or multi ‑fifteen channel remote controls, easy once touch operation is at your ‑finngertips, whilst also providing a much safer “chain free” environment for children.